Why it matters: Interested in an Apple Pencil but don't care for its design or high price tag? Later this month, Logitech will launch a compelling third-party alternative for consumers that may be worth a look. Apple at its education event in Chicago this past spring announced a new iPad primarily targeting students. The $299 tablet ($329 for regular consumers) launched alongside a $49.99 third-party stylus from Logitech called the Crayon. On Thursday, we learned that the Apple Pencil alternative will soon be available for anyone to purchase. 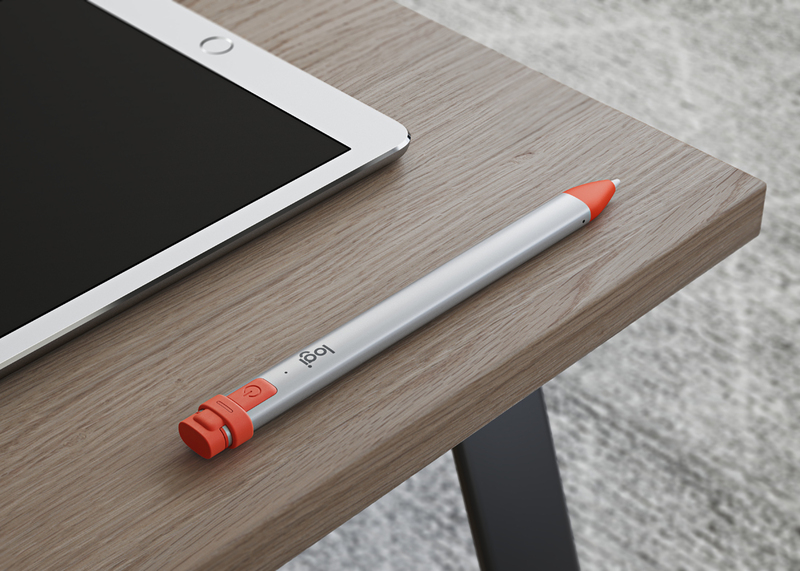 Logitech’s Crayon launches in Apple retail stores on September 12 albeit at a slightly higher price of $69.99 (that’s still $30 cheaper than the Apple Pencil). Logitech’s stylus uses the same technology as the Apple Pencil although it lacks pressure sensitivity. It offers a kid-friendly design that can withstand drops from a height of up to four feet, palm rejection technology and up to seven hours of battery life. Replaceable tips help to combat wear and tear. It’s probably not a coincidence that Logitech is launching the Crayon on September 12. That’s the same date as Apple’s iPhone media event where the company is also expected to unveil new iPad Pro models. Odds are, those devices will also be compatible with Logitech’s Crayon. As of today, however, the Logitech Crayon is only compatible with the newest 9.7-inch iPad (2018 model).